Have you ever kept track of the number of emails you write in a day? It’s bound to be quite a few, and that’s when unnecessary mistakes get made. In many cases, emails are hard to read, contain too much jargon, or their purpose is unclear. 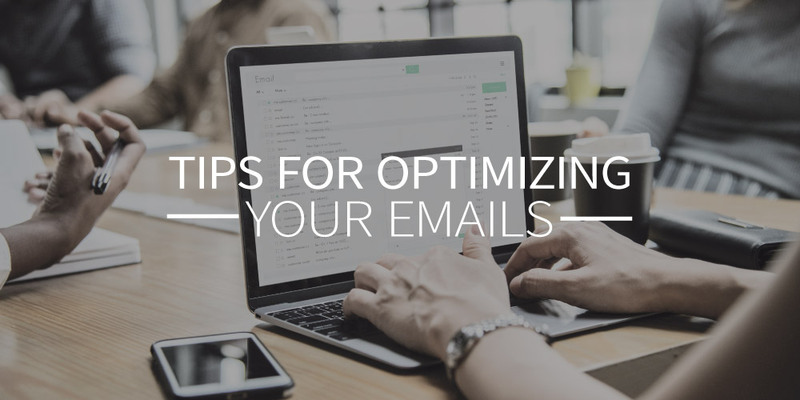 In this blog post, we’ll offer you some practical ways to optimize your emails. And to help you even further on your way, you can download our handy add-in for Microsoft Outlook. Every day we are inundated with emails. From annoying spam to interesting news and important messages from work. By now, you’ve probably developed a radar that allows you to delete any unimportant emails immediately and procrastinate on emails that are harder to deal with. And you’re not the only one since almost everyone dealing with high levels of email traffic every day operates the same way. So how do you ensure that your important email catches the recipient’s attention? Read through our checklist so that your future emails will get read and understood. First of all, it’s important to remain polite at all times. ‘Quickly whipping up’ an email can result in a message that comes across as too emotional, often leading to misinterpretation by the recipient. Aside from that, you really don’t need an exclamation point at the end of every sentence and you should probably leave emojis out of the mix altogether. Those are cute in WhatsApp but don’t exactly add any value to a professional email. The same goes for greetings like ‘Hey’ or ‘Hi’. Those are a no-go in work emails. And remember that one coworker who flags every single email as ‘high priority’? Definitely don’t do that either. Aim to present the right amount of information in the right way, making it more attractive to your reader. You can achieve that by stating your key message at the top of your email and placing any less important information below. Try to tackle one problem or issue per email, to avoid making things overly complex for your reader and losing the point of sending the email in the first place. Next, it’s smart to keep things short and sweet. Use a maximum of 150 words, and avoid jargon and complicated words. Research shows that content written at a B1 level is generally the easiest to comprehend. It’s a fact that we don’t read every single word of a piece of on-screen text. We scan the content in an F pattern. Use that knowledge to make emails easier to scan for your readers. You can format and layout the email in such a way that you guide the recipient through the most important points. If it’s impossible to avoid writing a longer email, be sure to use subheads, bullet points, and short paragraphs. Avoid caps lock and bold fonts, since those can be perceived as annoying. Your subject line can make or break your email. Aim to give your email subject some extra attention and don’t fill it out until after you’ve written the email. Use active verbs and summarize your message in a concise way (up to a maximum of 55 characters). That should trigger the recipient to open your email. Read the email from right to left, allowing you to discover any mistakes more quickly. Make sure the key message is clear. Check people’s names and titles. Ensure that you have added the necessary links and/or attachments. Keep up your good reputation! The tips above will help you send better and more straightforward emails. These days we are so used to sending online messages that we’re often too quick to hit the send button. How often do you forget to add the attachment and how often do you catch yourself making serious spelling mistakes? These kinds of missteps can leave an unprofessional impression, negatively impacting your good reputation within the company. Thankfully, that’s easy to avoid by taking the tips listed above into consideration. To make things even easier for yourself, you can download our add-in for Microsoft Outlook. It will automatically inform you when you (unintentionally) are using too much jargon, caps, or emojis. On top of that, the tool presents you with real-time practical tips, allowing you to further optimize your email and protect your professional demeanor.